How to Solve QuickTime won't play an MP4 file? "I have a large collection of videos in .mp4 format that for some reason Quicktime player doesn't seem to like. When I try and play the movies using Quicktime I get the following error message: The movie could not be opened. An invalid sample description was found in the movie. 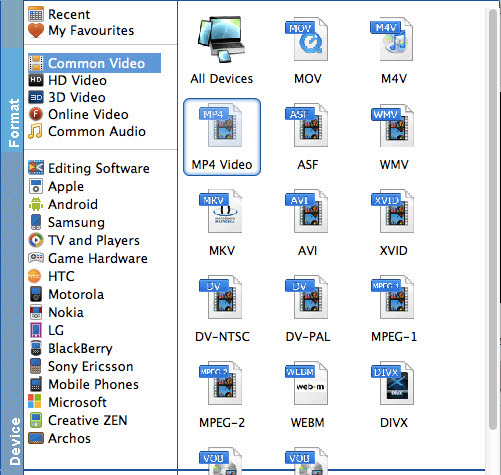 Any help on the reasons why Quicktime won't play the MP4 movies would be greatly appreciated." "I downloaded some mp4 videos and quicktime but cannot get them to play. When I open quicktime, open file, mp4, there is a picture of the video with no sound and its not playing. What am I doing wrong? Where should I open the video to play it? itunes or imovie?" Why QuickTime Not Playing/Recognizing an MP4 file? It is well known that MP4 is a complex video container format which can hold various different video and audio codecs. Although QuickTime has native support for MP4 file formats, however, it only play MP4 files compressed with the codec of MPEG-2, MPEG-4 and H.264 codec. If you try to open MP4 files with incompatible codec with QuickTime player, you will meet "the movie could not be opened" error message. Sometimes, even the video codec used to encode MP4 files are recognized by QuickTime player, you may still get only picture of video but no sound due to the wrong audio codec contained in MP4 files. If you find your QuickTime fails to open MP4 files, check immediately whether you have the latest version of QuickTime player for MP4 playback. 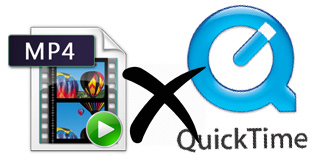 For the most part, QuickTime 7 and above can handle MP4 files well and even other formats beyond. So, make sure if you've got the QuickTime upgraded in time. Note that QuickTime 7 pro are not free. So you may have to spend some money, about $29.99 USD for the upgrade. If you still cannot play MP4 videos on QuickTime, chances are that the MP4 video/audio codec is not supported by QuickTime built-in codec pack. You can go to Softonic or CENT to get QuickTime MP4 codec pack downloaded as a supplementary. Be aware, we do not fully recommend this approach since it might bring along adware/malware and is not 100% safe for your computer. VLC is the classic swiss army knife for video files, it will play virtually any video format, it's cross-platform compatible, it's quick, and it's free. VLC's other benefit is that it works fine with obscure audio formats, and if you're wanting to stream a video from one computer to another you can easily do that too. If you want the video codec support of MPlayerX but with even more features aimed at advanced users, VLC is a great choice. Directly converting the MP4 videos into MOV or other files formats that QuickTime can handle is one of the most convenient way to avoid QuickTime not playing MP4 problem. If you are not sure about the target converting format, you can test a certain video format that can be played by your QuickTime to decide. Here, we recommend you some professional converters you might be fond of: EaseFab Video Converter, Handbrake, Freemake Video Converter. 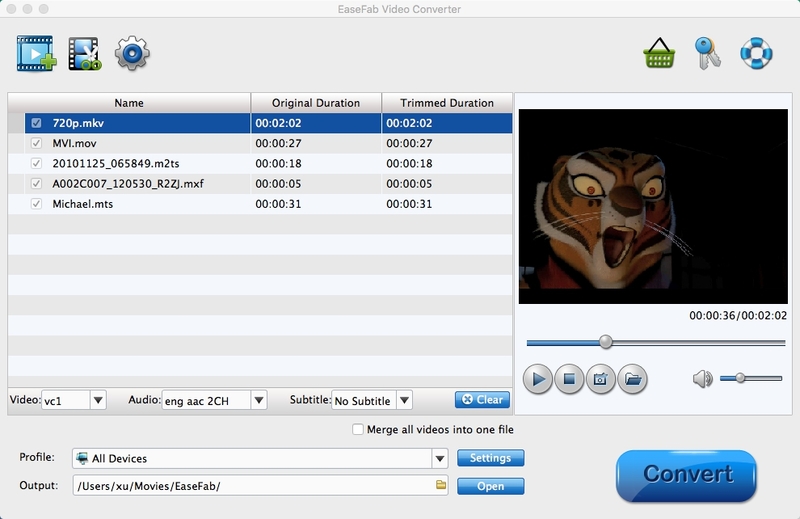 Here I will take EaseFab Video Converter for example to show you how to change MP4 into QuickTime compatible MOV files easily and quickly. Drag the video files you want to convert to the video files list (Mac Video Converter supports batch conversion, so you can import multiple files at a time). You can also click the "Add Video" button to browse your Mac hard drive and add the MP4 video files you want to convert to the program. Click Profile (located below where your files are displayed) and select the format you want from the drop-down list. Just below Profile is Output, here you can browse your computer for a better destination folder to save your converted movies. As you see, all regular video and audio formats like MP4, MOV, MKV, WMV, AVI, FLV, MP3, WMA, WAV, M4A, etc. are provided. Here you're recommended to select "MOV" as the output format. Once you've selected the output file format you want, you're ready to rip. Simply click the Convert button to let the software start converting your movie files. The ripping time depends on the quality and duration of the output movie. Wait for the conversion to be done and click Open to get the converted video files. > Resource > Instructables > How to Solve QuickTime won't play an MP4 file?